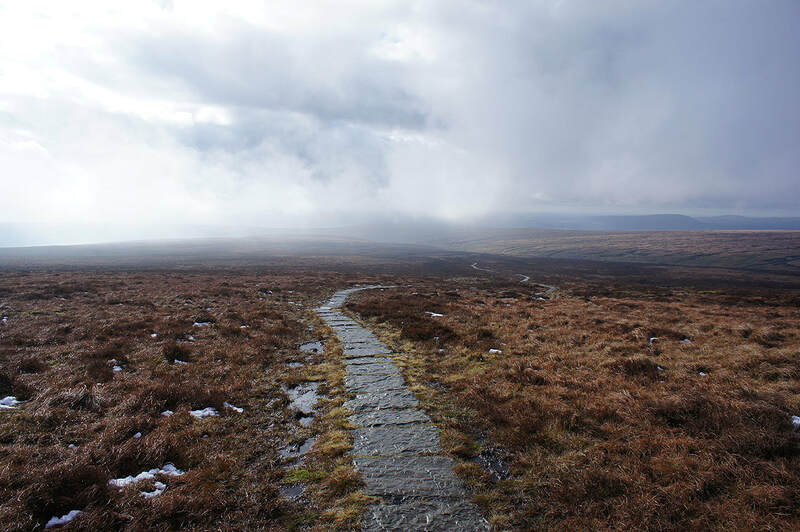 I'd originally planned on going somewhere a bit further afield for my walk today, but it took too long for it to brighten up for me to commit to it and trust that I wouldn't end up regretting it. 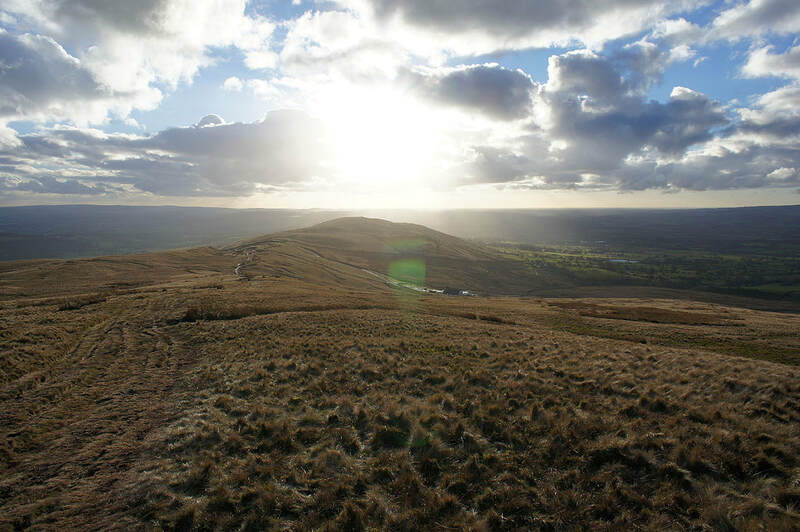 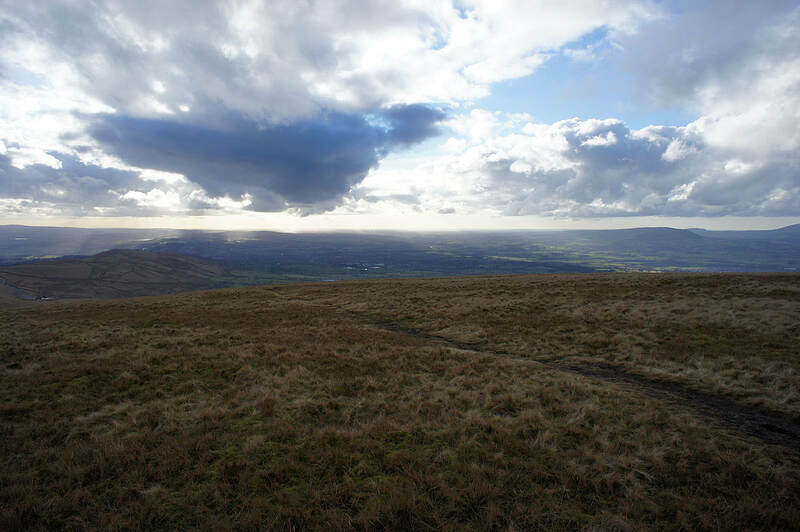 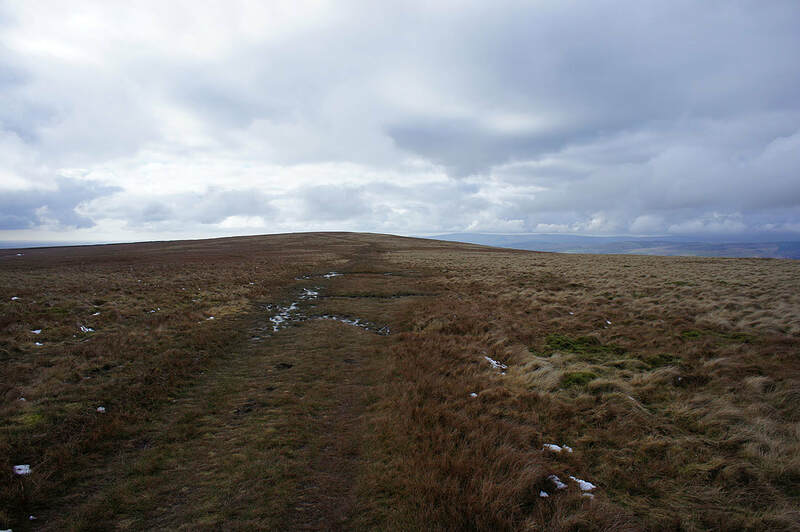 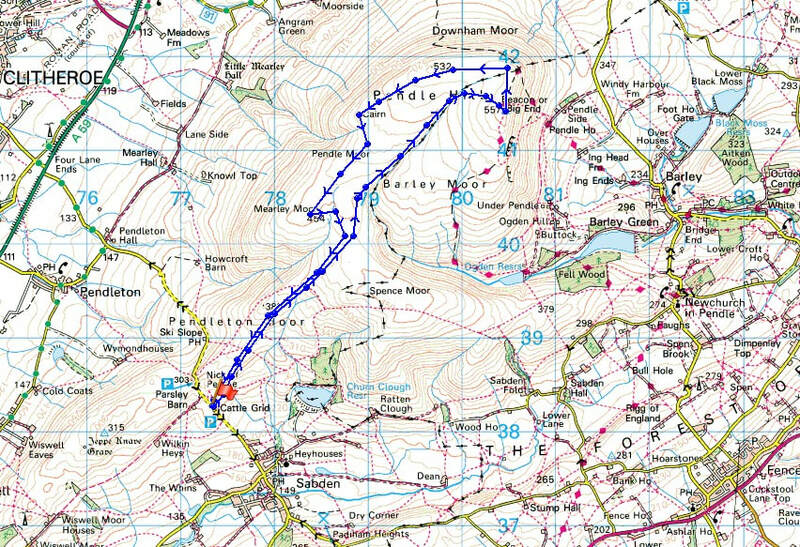 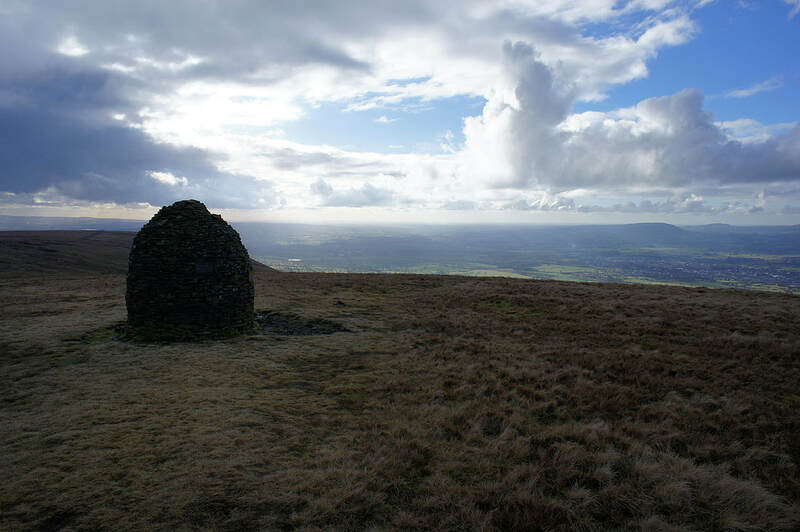 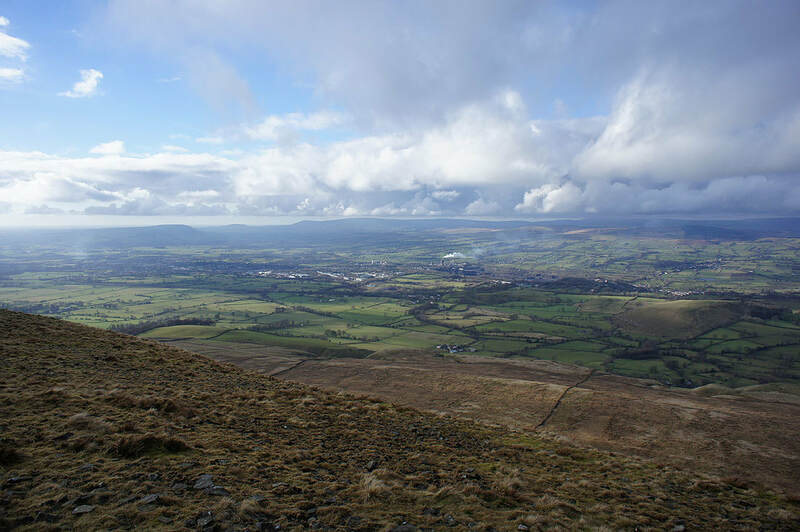 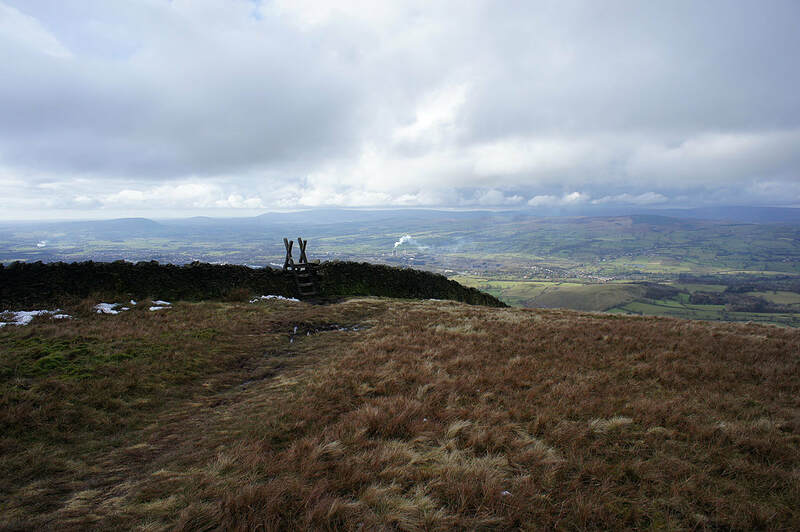 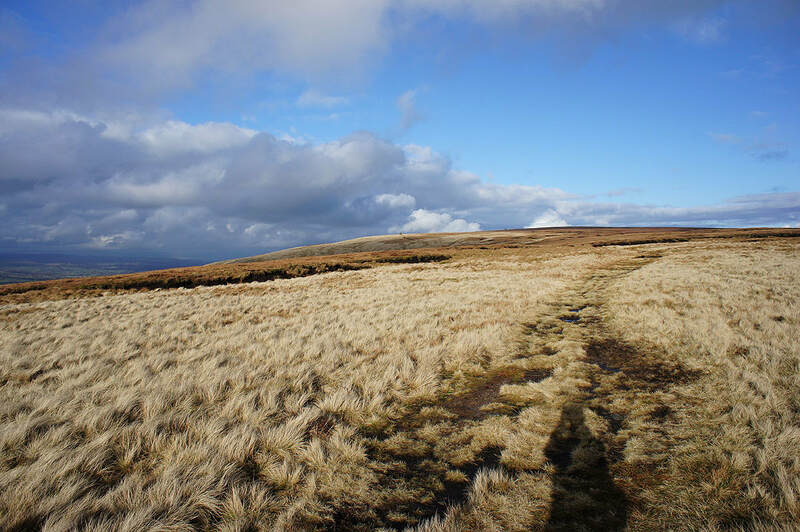 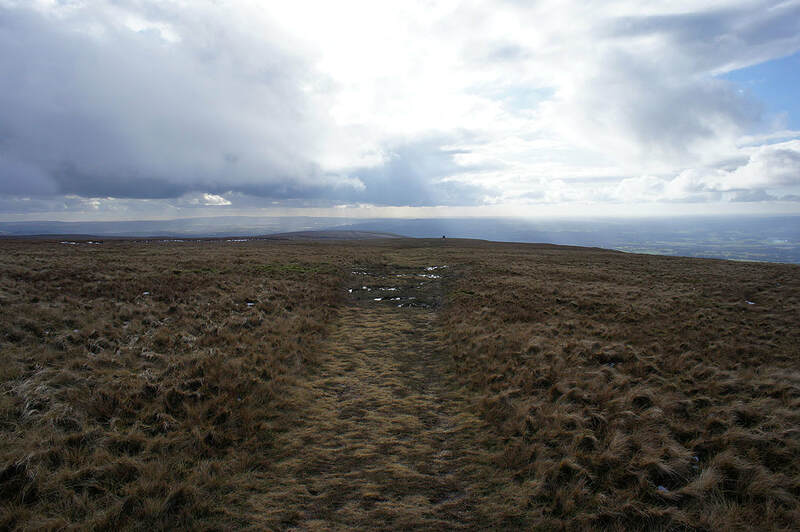 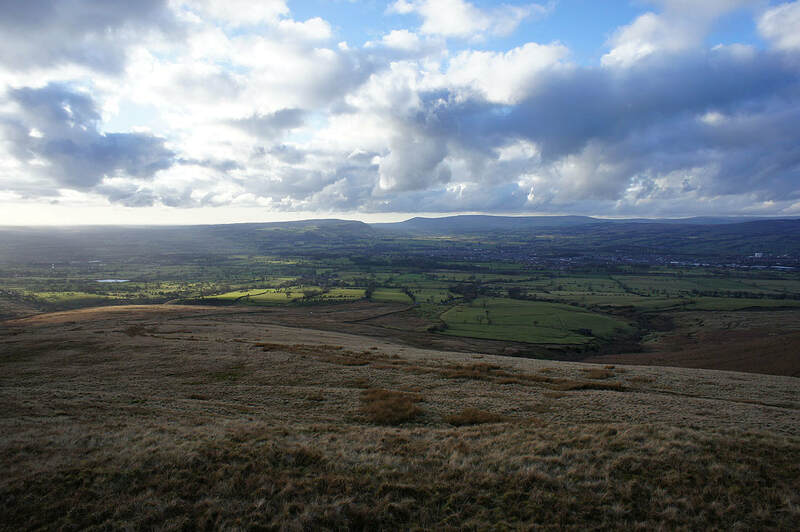 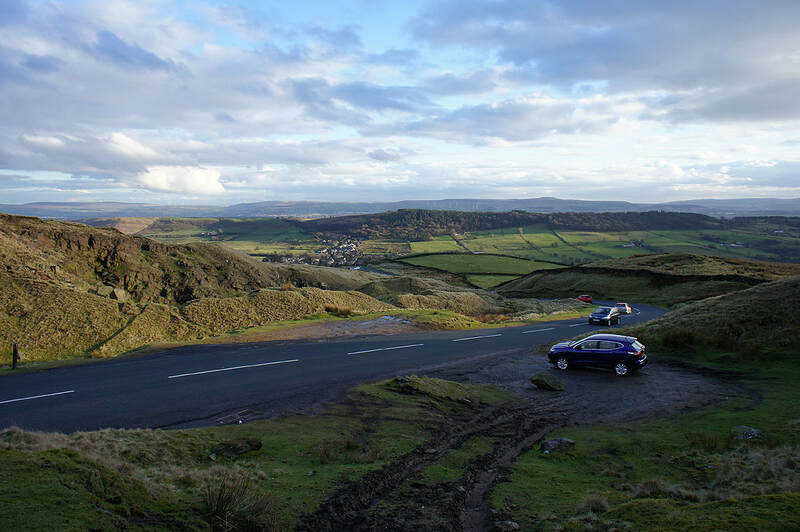 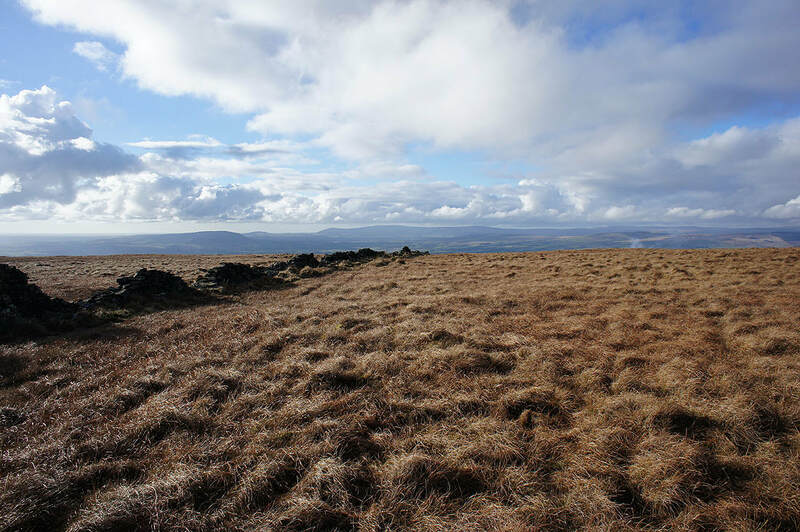 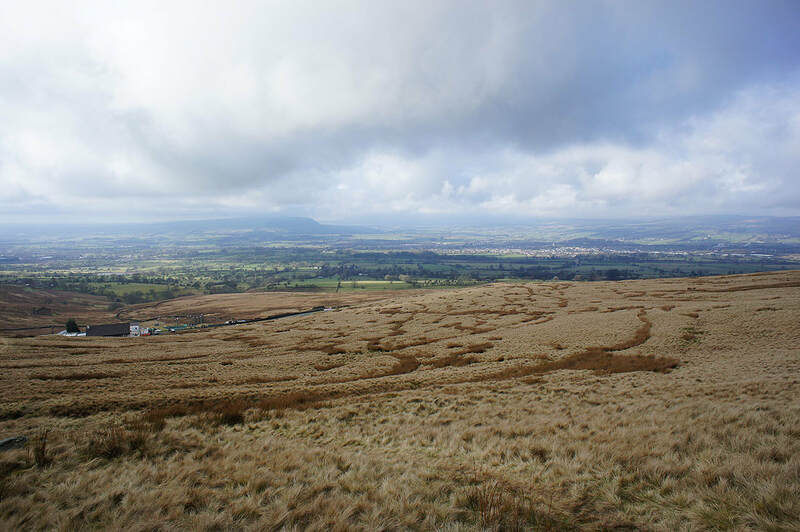 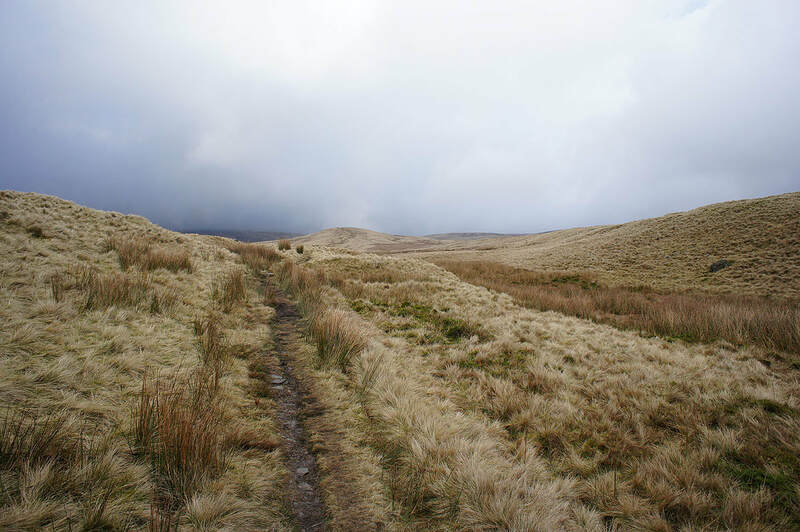 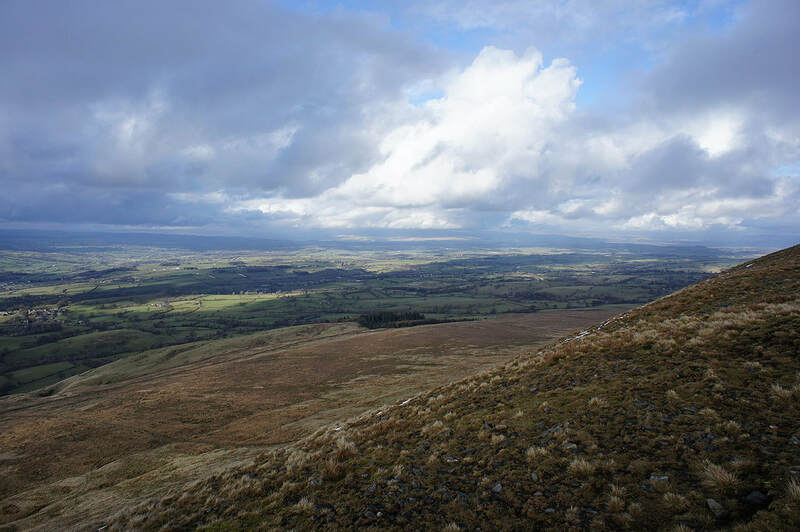 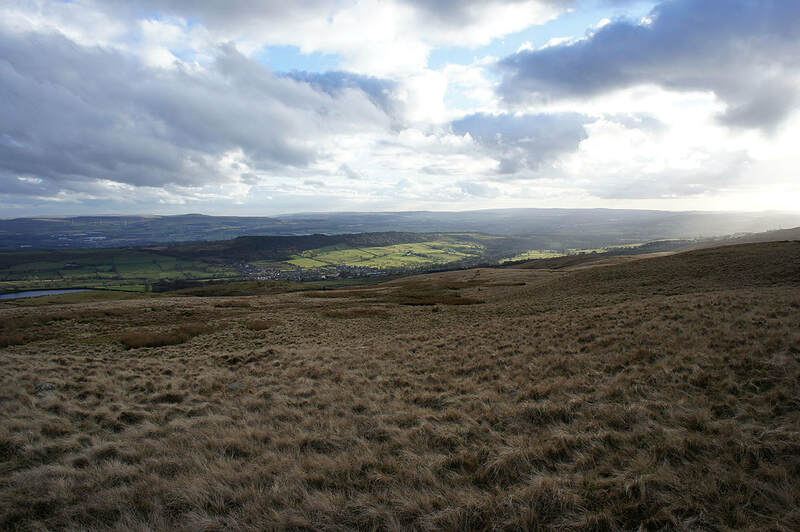 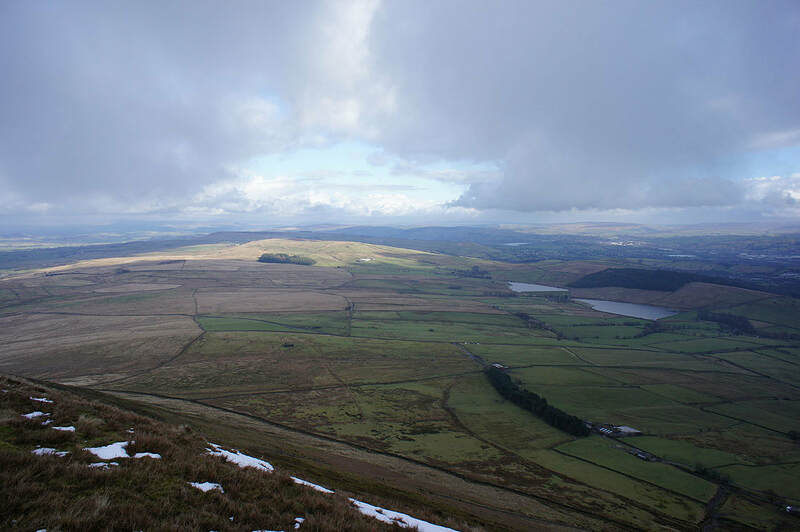 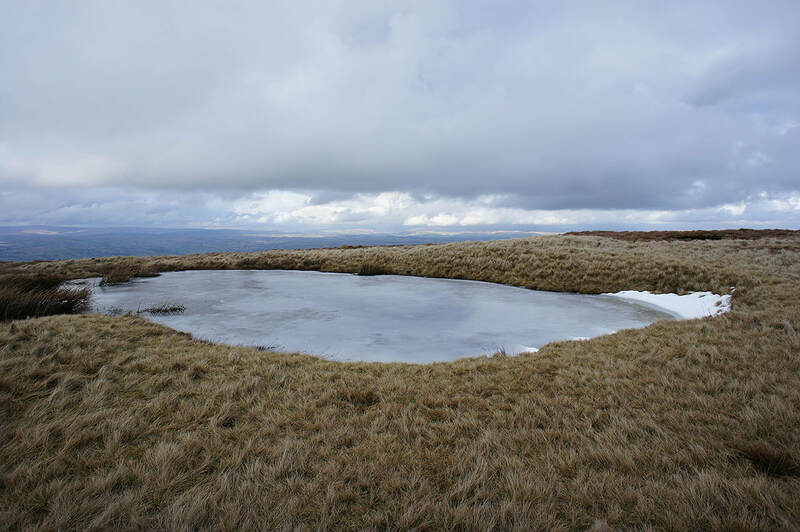 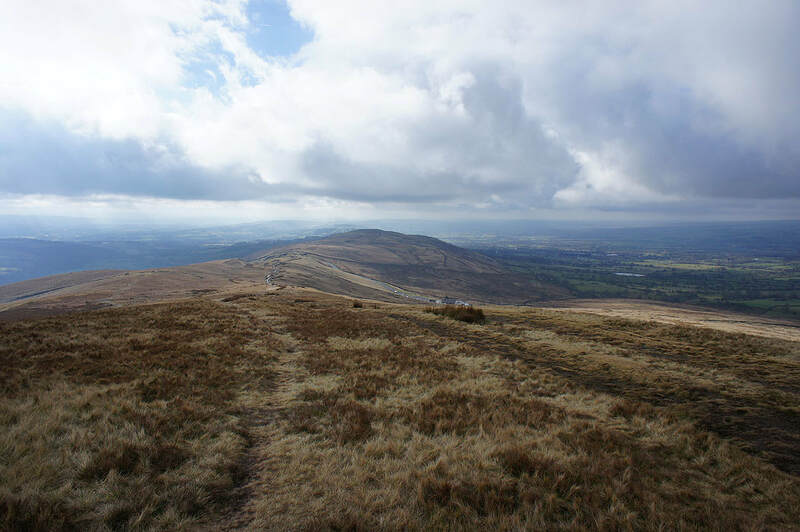 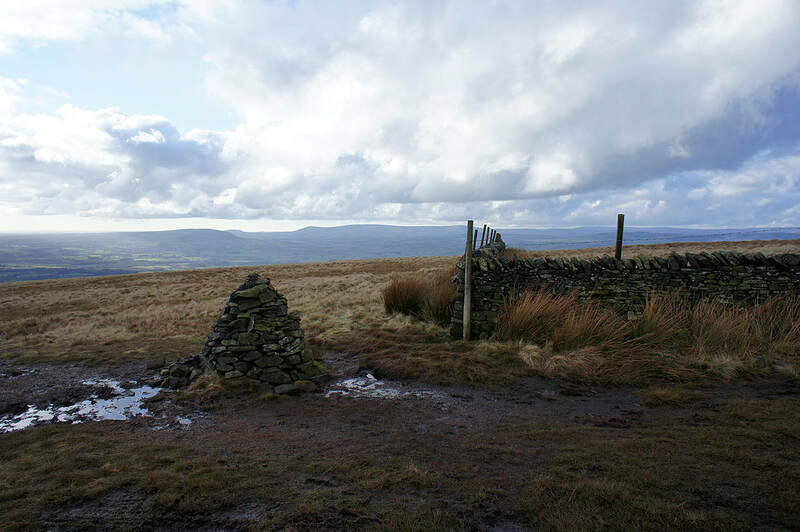 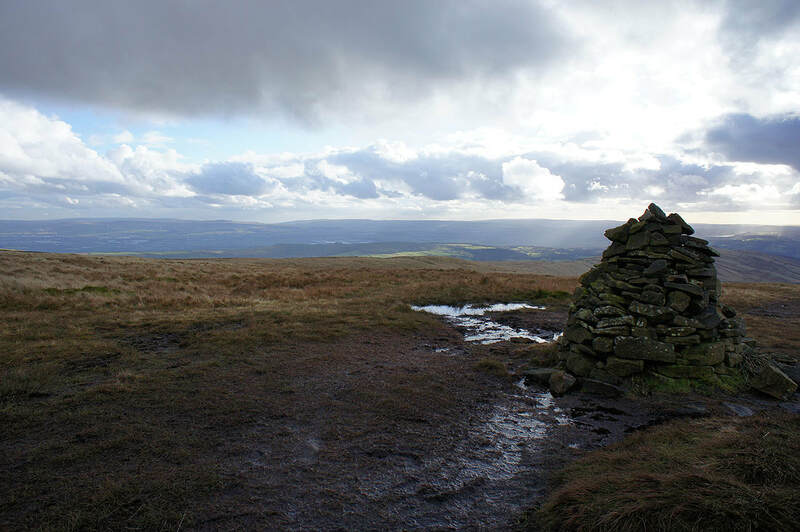 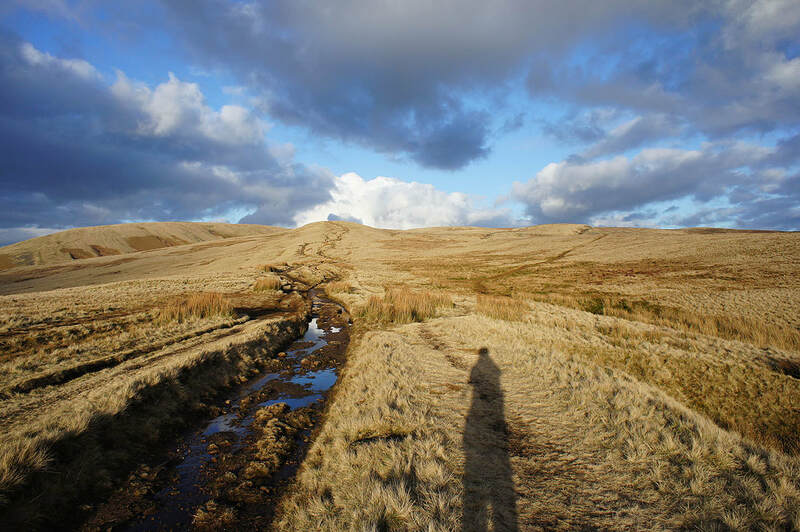 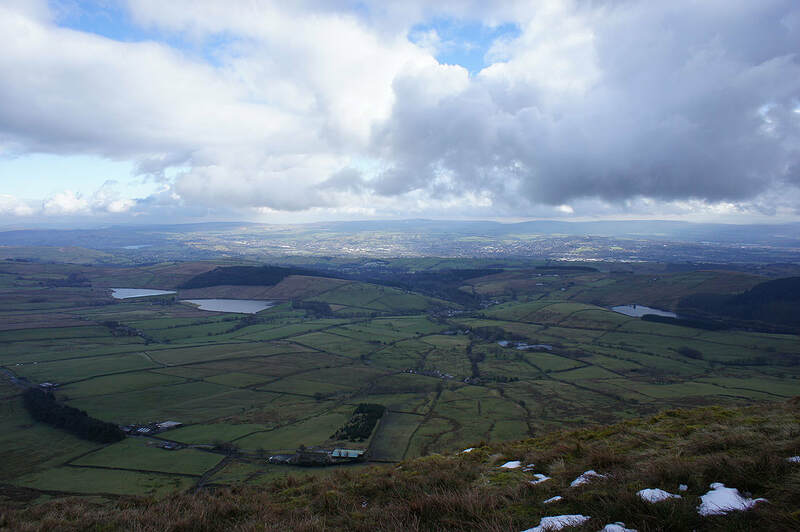 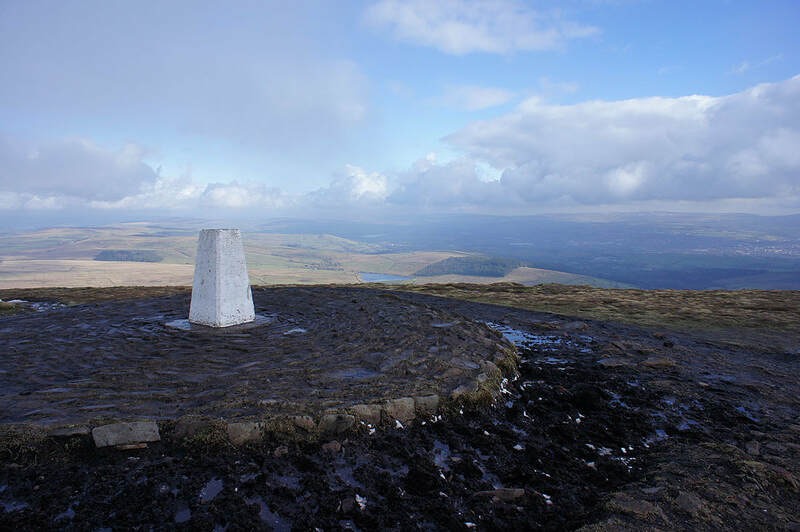 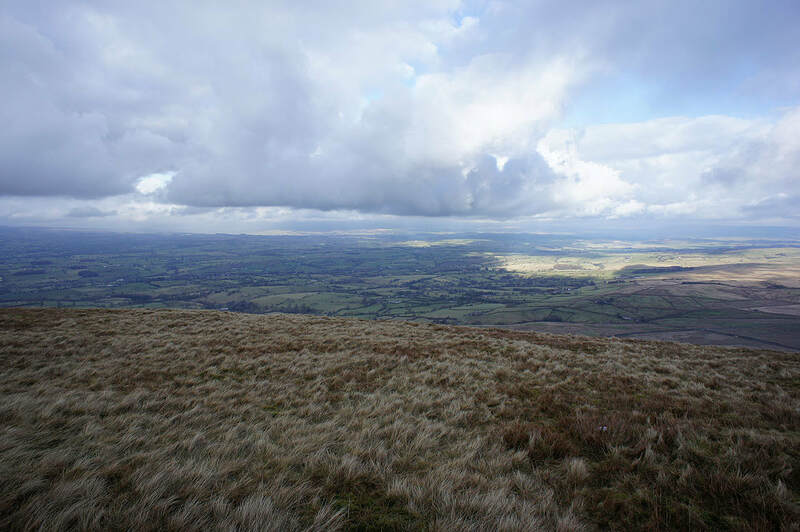 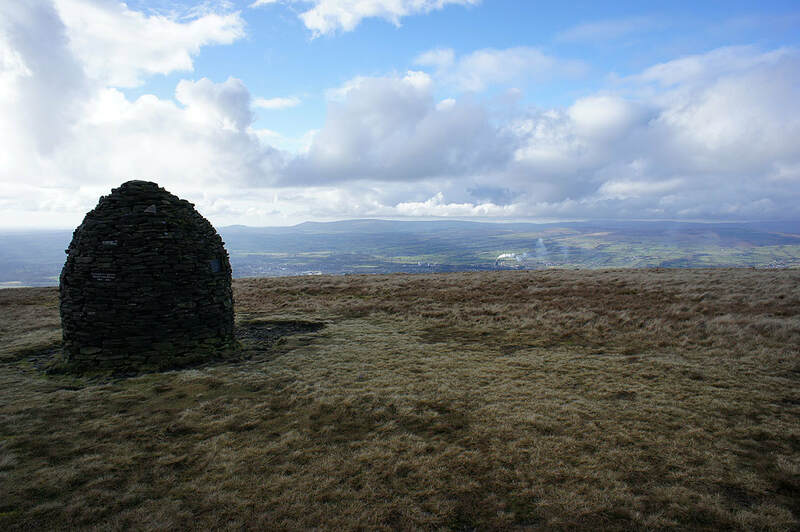 So, I decided to climb Pendle Hill for the first time this year with the route from the Nick of Pendle being my choice. 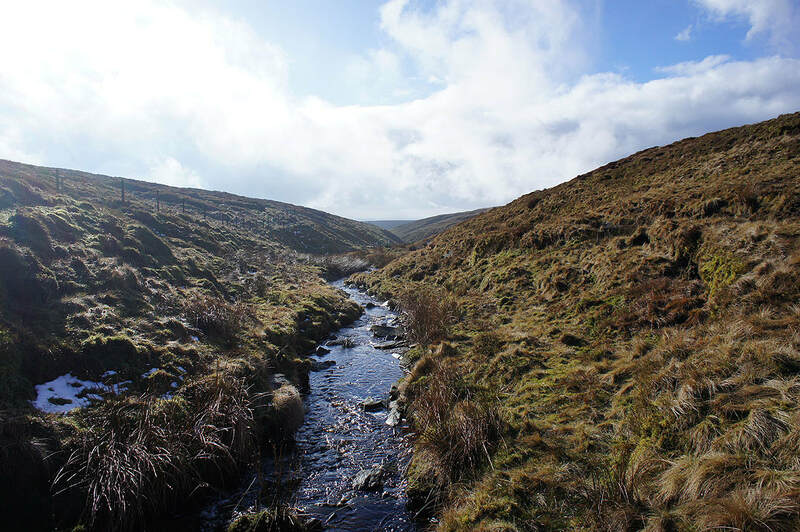 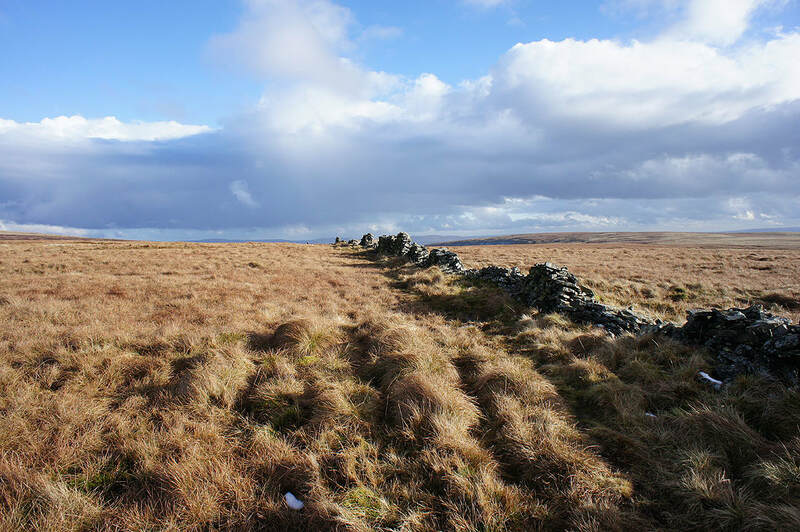 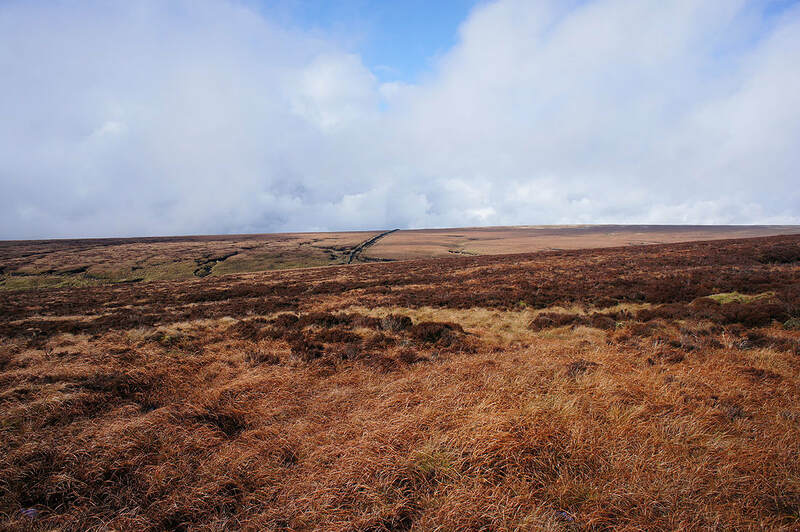 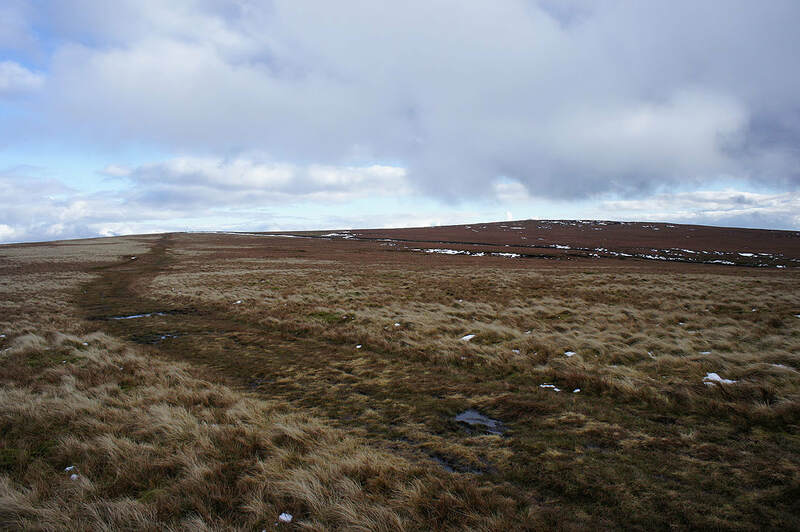 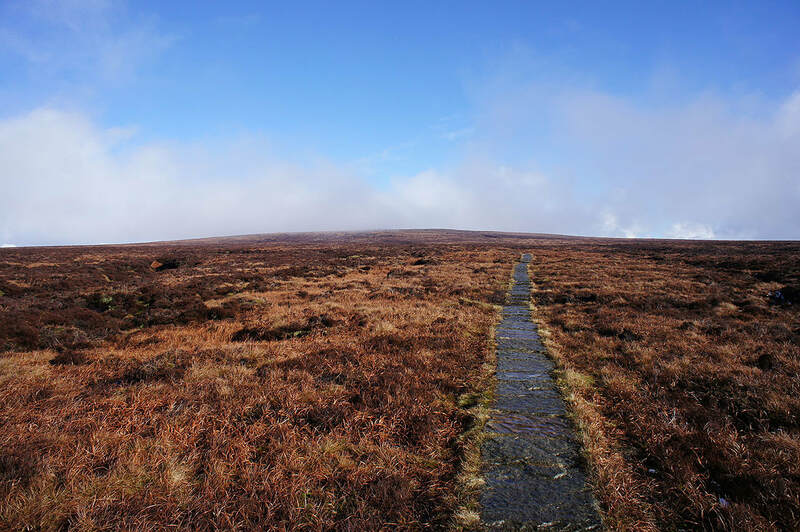 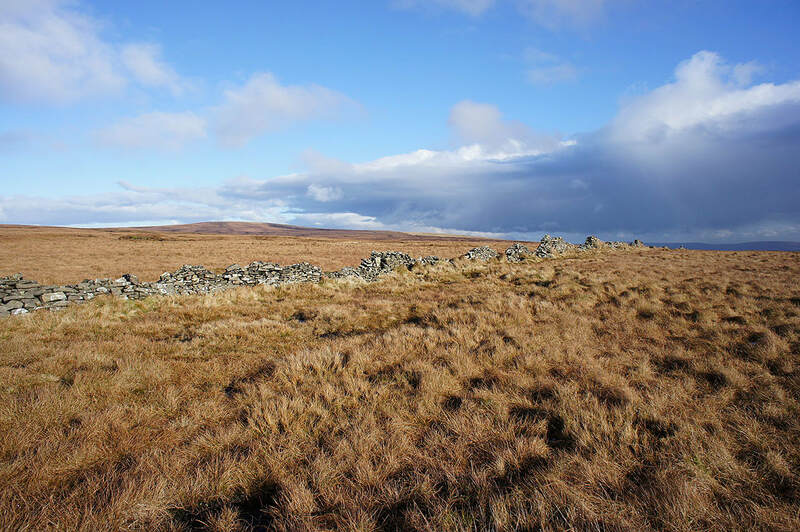 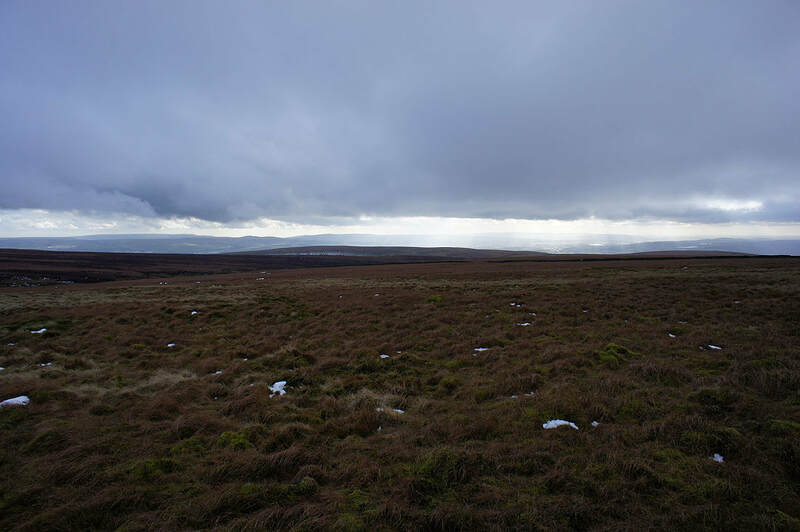 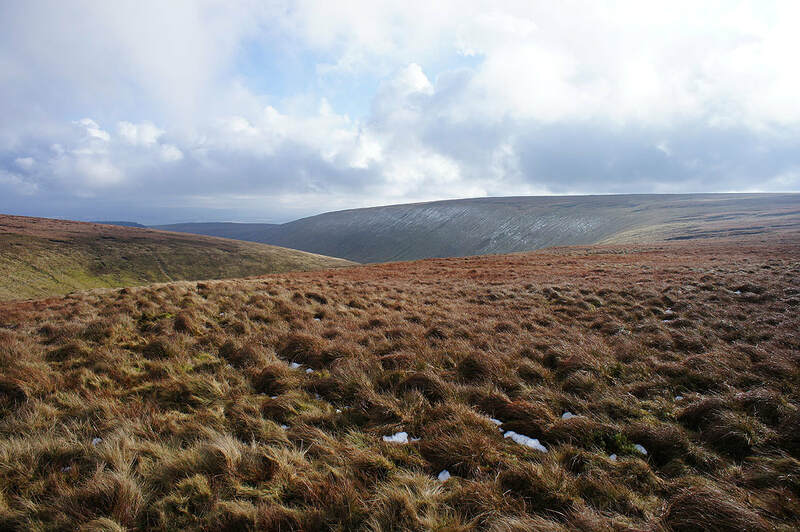 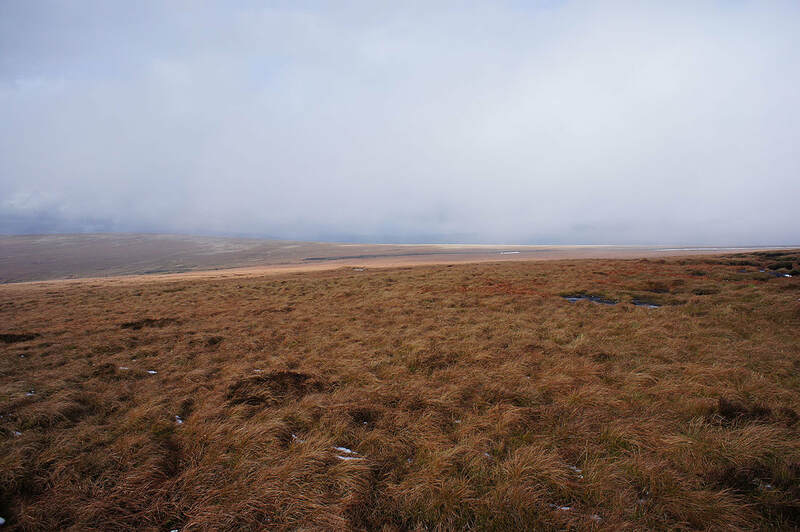 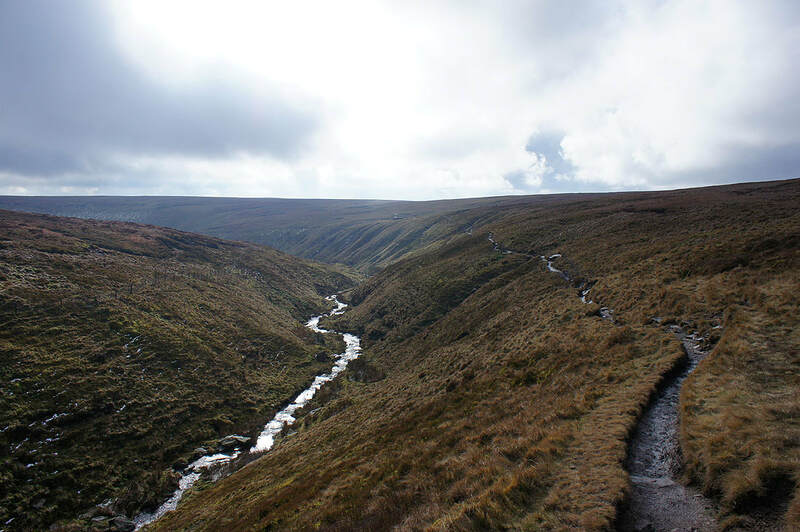 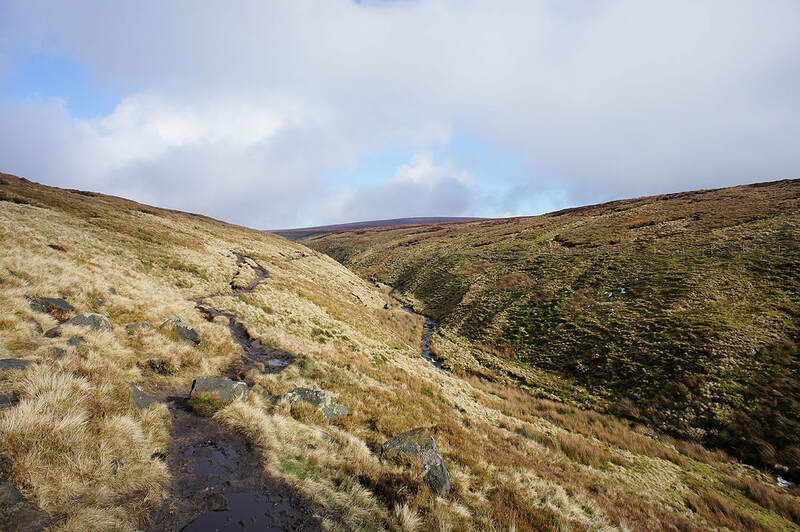 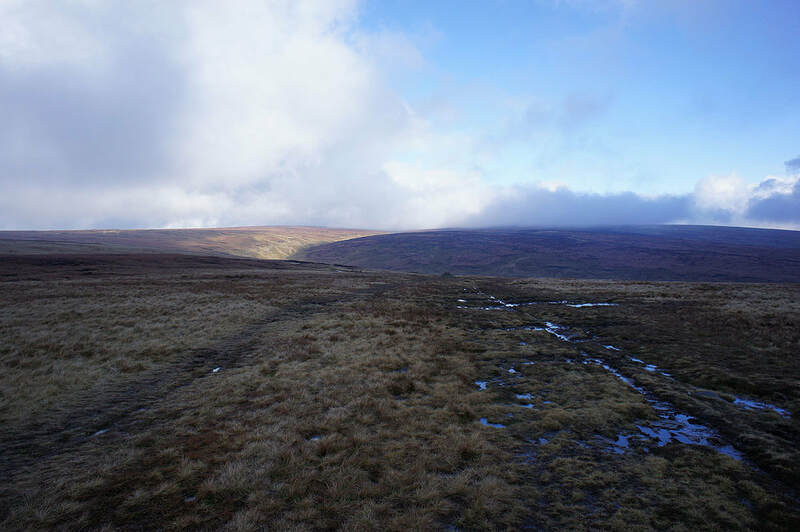 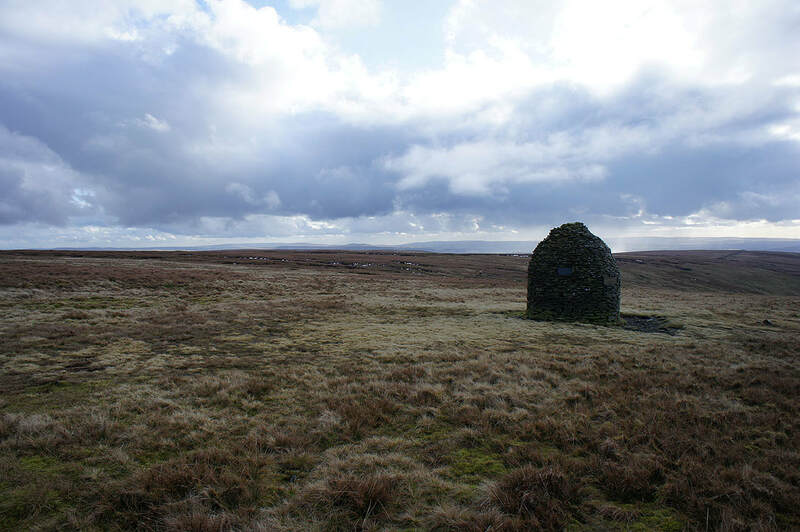 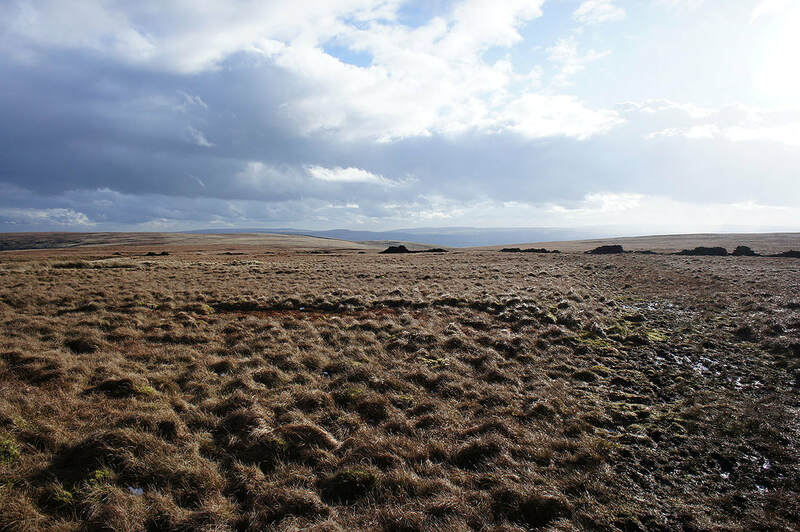 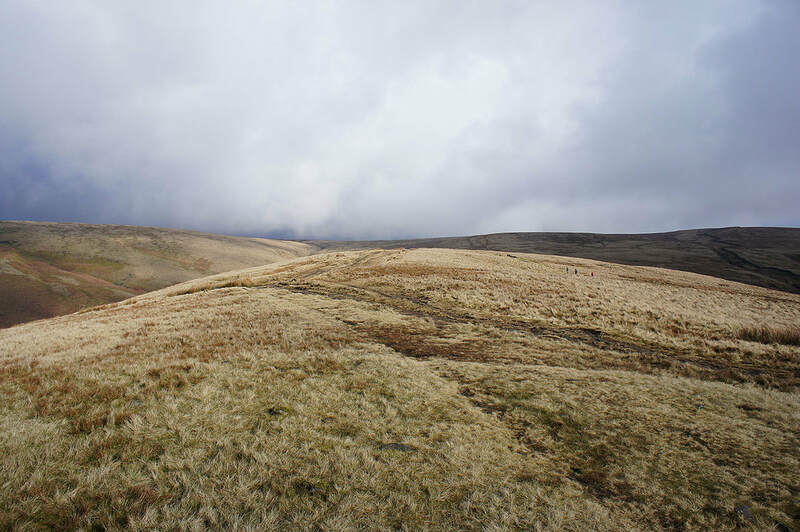 I spent an enjoyable few hours on the moors in weather that gradually improved through the afternoon as more in the way of sunshine developed. 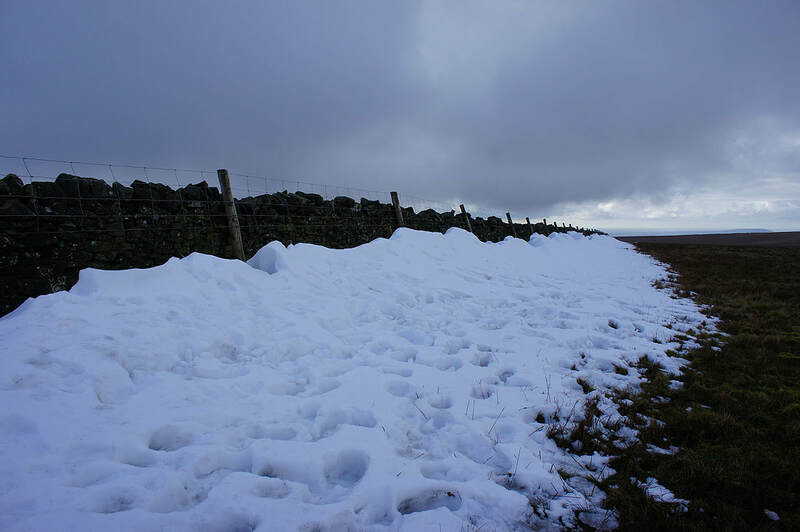 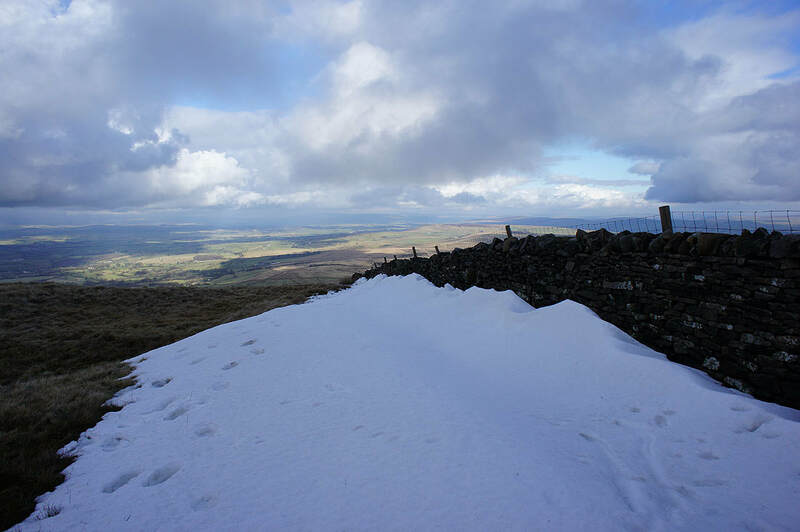 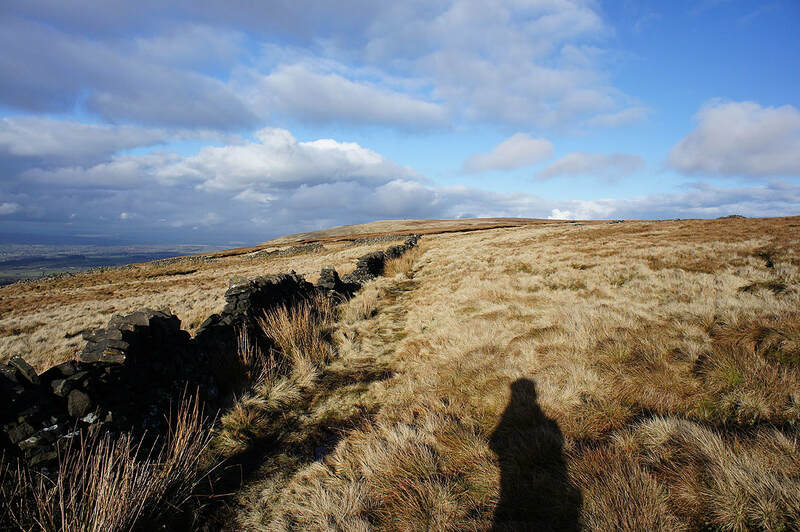 Deep drifts from the recent snowfall linger on in the shelter of the wall as I cross it onto Downham Moor..
Making my way across Downham Moor..
Sabden in the valley below..
..and the Ribble Valley and Clitheroe..